Tower Introduces Sketch Tex, Sketch and Structured. TRANSFORMING TOWER introduces 4 new designs which includes an ARTISTE pattern. The forest awaits with Into the Woods, as tree branches abound in this distinctive statement design. Contemporary and fresh in the bold contrasting colorways, while organic and subtle in tonal neutrals, Into the Woods has nine memorable colors, which pair naturally with many of your favorite Tower textures. View swatches. The sophisticated, layered woven, Couture Stitch, offers depth and a tactile quality from individual stitches of matte mixed with metallic. Notice a silk meets linen vibe in the vertical emboss. The fabric-look is reminiscent of premier fashion houses and can be seen across the 19 colorways, including Falling Star, Morganite and Silver Mist. View swatches. 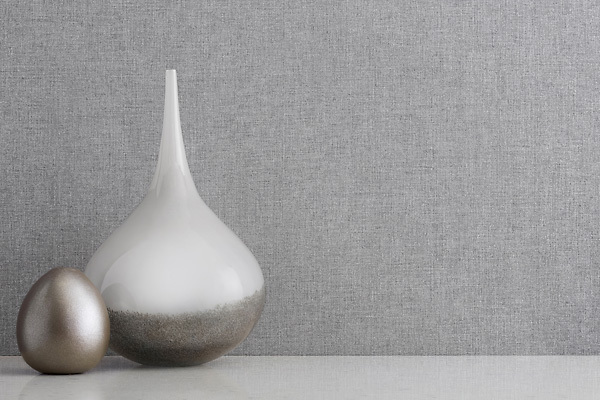 Soft, delicate and tranquil describes Flutter, with its subtle, textured pattern inspired by drapery blowing in the gentle summer breeze. Feel light as a feather with the 18 color choices, including Ballet Slipper, Snowdrop, and Baby's Breath. View swatches. 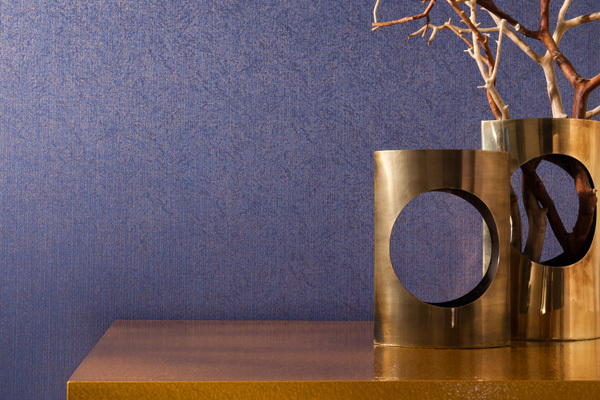 Covet the handmade essence of Grass Envy, sought by all for its rich grasscloth texture and glamourous metallic finish. Our newest Artiste creation, with artisan-quality, multi-tonal layers, Grass Envy has 18 luxurious colorways, including Lush Forest, Platinum Mist and Copper Kiss. View swatches. 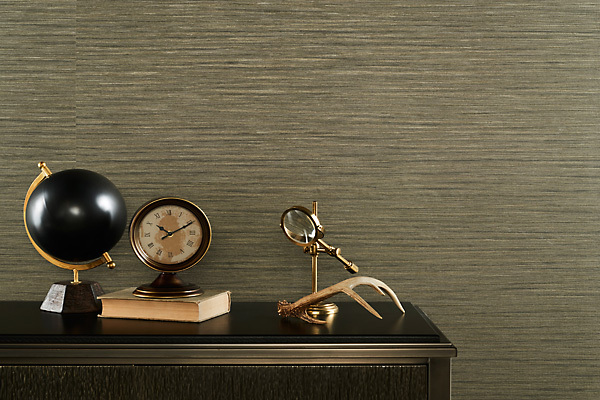 Stunning effects can be seen in the launch of Foiled and Sherlock by Tower Wallcovering. 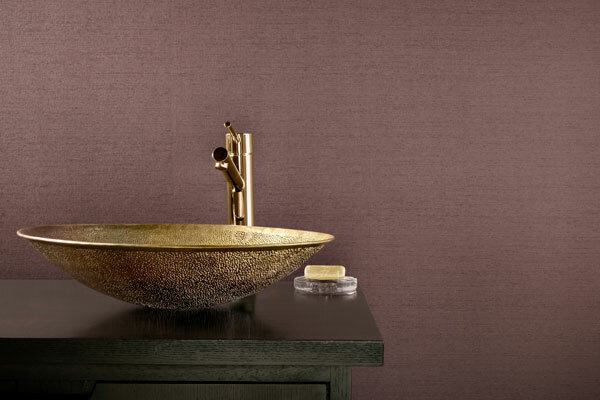 Discover the natural elements and imperfections in the large-scale statement texture, Foiled. Crackled effects with a hint of metallic are visible atop the purposely marred ground. Notice an organic stone feature or a dramatic edgy effect in the 8 colors that range from soft and subtle to strong and striking. Trim to 50". View swatches. Sherlock is a refined herringbone, features layers of threads and stitches, which add movement and dimension to the design. This small texture can be seen at a distance and may remind you of the famous detective. Warm and cool neutrals are joined by notable multi-colored accents in the 19 hues. View swatches. 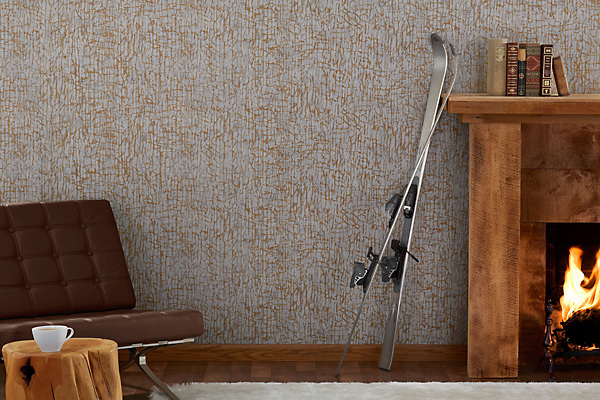 Enjoy a sense of spirit and fun with Illusion and Illusion Silk by Tower Wallcovering. 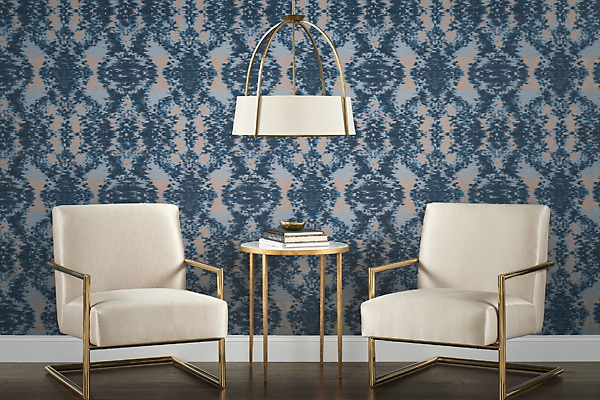 A classic Ikat design fuses with an Impressionistic style to create the memorable Illusion. This large-scale decorative has both an organic and geometric essence. Multiple colors blend in the 8 hues that can be paired with the long color line in Illusion Silk. View swatches. 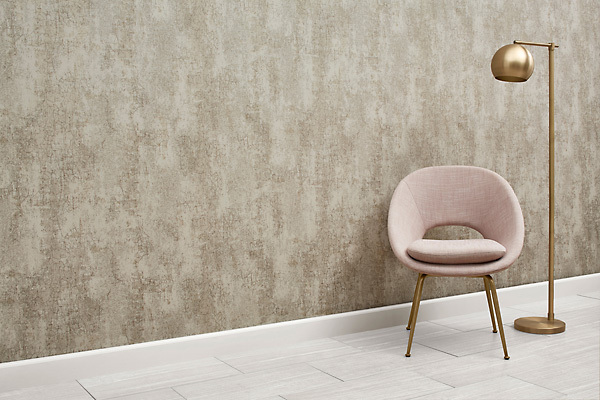 Illusion Silk has a refined flair, and is the perfect backdrop on any interior wall. Almost magical with its layered, nuanced effects, this modern silk features a full palette of 32 rich, neutral and pop colors, both matte and lustrous, such as Polished Pearl, Lavish Cocoa, Dazzling Gold, Satin Blush and Bronze Glow and coordinates with Illusion. View swatches. 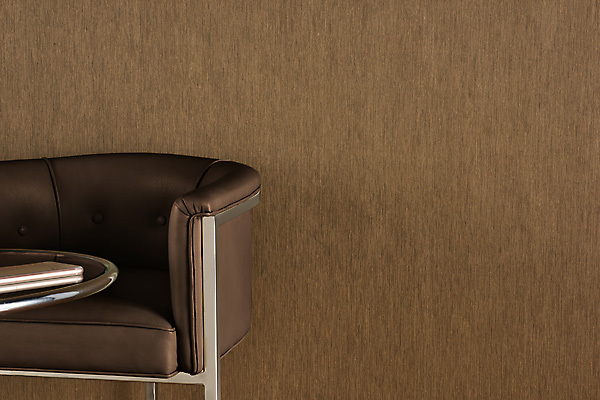 Three new patterns, Empire Edge, Empire and Grasslands, are introduced in Tower Wallcovering. 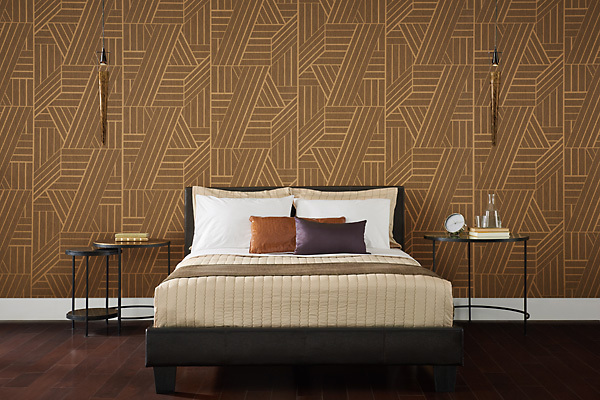 Graduated parallel lines create the large-scale angular pattern in Empire Edge. A modern grille design, reminiscent of geometric inlaid wood, rests atop a vertical silk ground. Keeping its architectural edge, Sky-grey-per, City Street and Observ-fir-tory are some of the 13 contemporary colors that partner with Empire. View swatches. 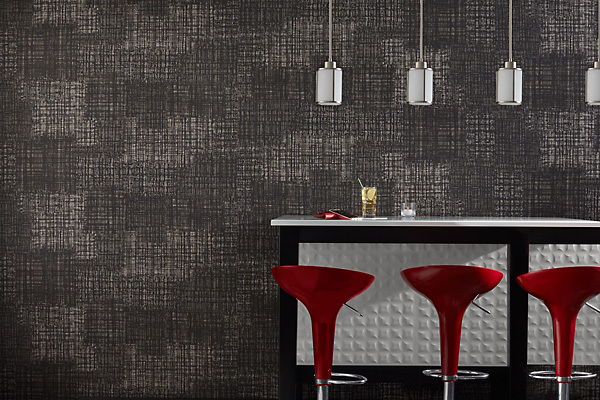 Monochromatic variations mixed with metallic create depth and texture in Empire. 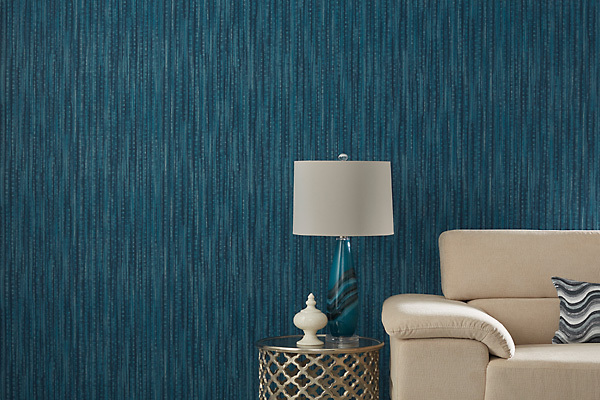 This vertical silk gets its urban edge from a well-rounded color palette inspired by its namesake iconic French period. Midtown Grey, American Dream and Color of Money top the 19 hues that merge with Empire Edge. View swatches. Take a journey to the plains with Grasslands. 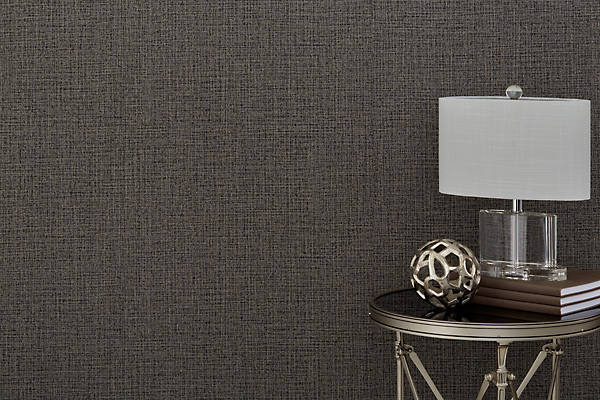 A soft contrasting horizontal thread can be seen through the natural grasscloth-like texture. The inherent beauty of 19 colors can be seen in Bluegrass, Buckwheat and Maize. View swatches. 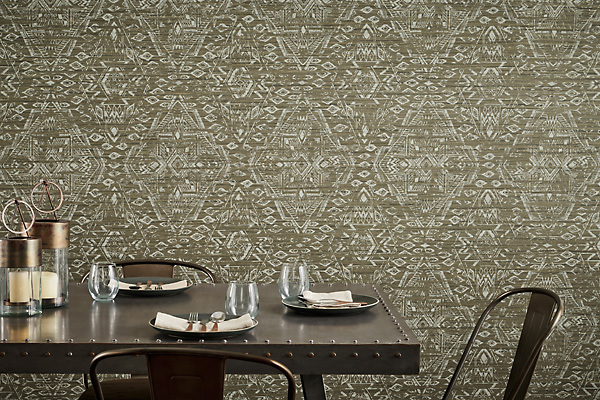 The tribal revival is here with Wander, Wanderlust and Nomad from Tower Wallcovering. Explore a new direction with Wander. 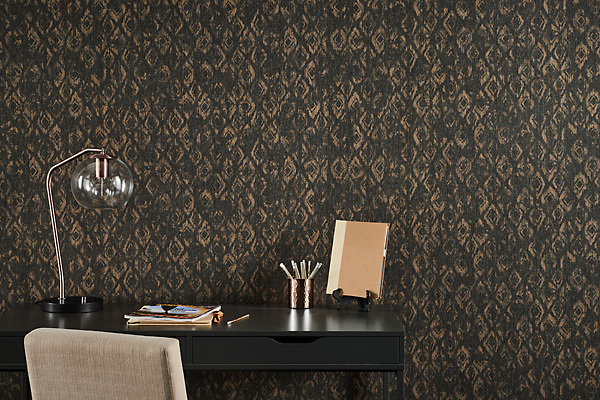 Inspired by global influences and fashion runways, this modern damask interpretation, reveals native prints with horizontal variations beneath. Stroll through White Willow, Sparrow and Dewdrop, some of the 9 colors that coordinate with Wanderlust. View swatches. Travel the world with Wanderlust. Roam the countryside and uncover hidden treasures. Sophisticated and soulful, multiple layers create linear stokes. Elegant metallic sweeps across the 19 colors that blend with Wander. View swatches. Nomad is a contemporary twist on a classic tribal design. Primitive geometric shapes are distressed and placed atop a woven linen texture. Wild whisper, Roaming Rose and Night Owl are just a few of the 13 natural hues. View swatches. Leave your mark with Wander, Wanderlust and Nomad. 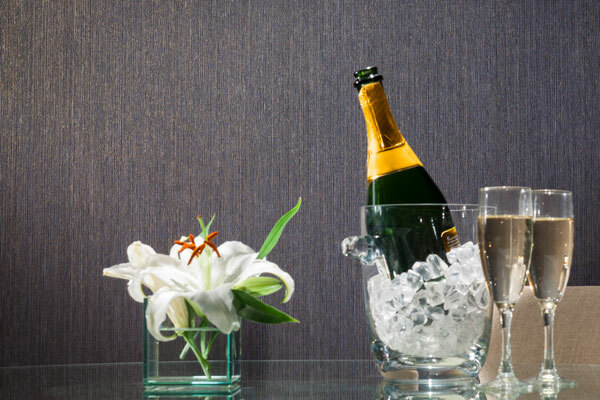 Carrara, Como and Campari Ice, by Tower Wallcovering, transport you to worldly destinations. Take a trip to Tuscany and feel the history of quarried marble in Carrara. 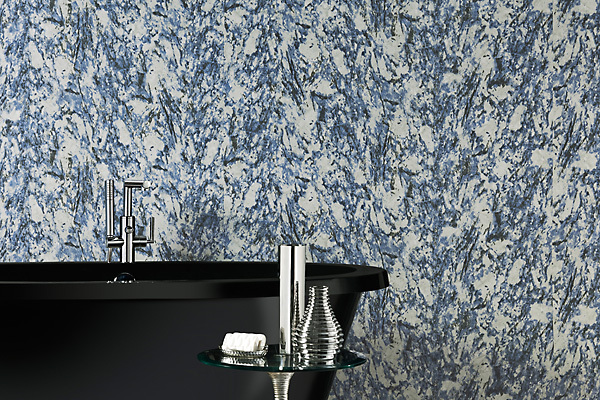 Mimicking high-quality luxurious stone, its flowing, veined colors create a timeless masterpiece. Eight works of art include Borghini Greige, Bordeaux, Aaron's Azul. View swatches. 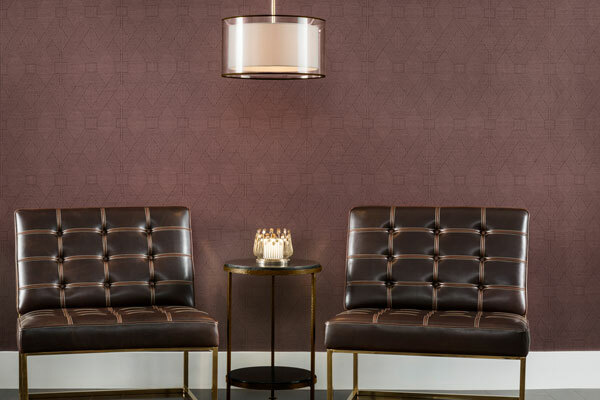 Inspired by boutique silk mills in northern Italy, Como showcases a tailored shimmery grid atop a classic, rich silk horizontal. This runway-influenced design dazzles with 15 colors, including White Alps, Cappuccino and Hillside Villa. View swatches. Snow-capped mountains and arctic formations in the Italian Alps inspired Campari Ice. 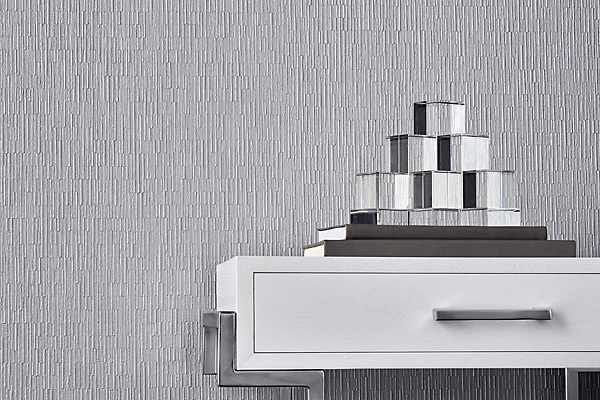 Resembling frozen ice, its delicate cracks form a fragmented, random mid-scale pattern, touched with soft metallic. 19 refreshing colors include Glacier, Grey Frost, Garda Grigio and Alpine Cliff. View swatches. Meet Mix & Mingle, Mingle and Zip Line…Tower's new product releases. Mix & Mingle merges the texture of its coordinate, Mingle, and a statement grid design. Adjacent blocks and washed color connect in this large scale pattern. Encounter 9 contemporary hues. View swatches. Contrasting color and texture intertwine in Mingle. Woven threads tangle with metallic as linen peeks through. Sixteen warm and cool mid tone colors couple with Mix & Mingle. View swatches. Scale the rungs of a ladder and glide down the vertical paths of Zip Line. Adventure and movement are revealed in the nature-inspired color palette. Take the plunge with Beige Bungee, Mountain Side and Purple Pulley. View swatches. Escape on a new journey with Mix & Mingle, Mingle and Zip Line. Art Deco meets Mid-Century modern in Marquise. Named for the popular diamond cut, this bold geometric features interlocking diamonds that are sure to shine. The pops of color in Golden Beryl and Amazonite add to the contemporary influence across the well-balanced neutrals that coordinate with Marquise Silk. View swatches. 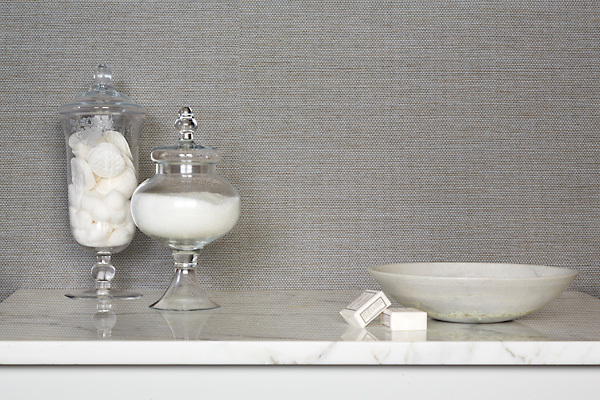 Marquise Silk is a delicate pattern with soft horizontal slubs, mimicking true silk. The classic gem is perfectly balanced with the striking graphic of Marquise, its coordinate. The retro 19 colors are a blend of neutrals and jewel tones such as Emerald, Teal and Gold. Marquise Silk… simplicity at its best. View swatches. Marquise and Marquise Silk… Tower's newest baubles. 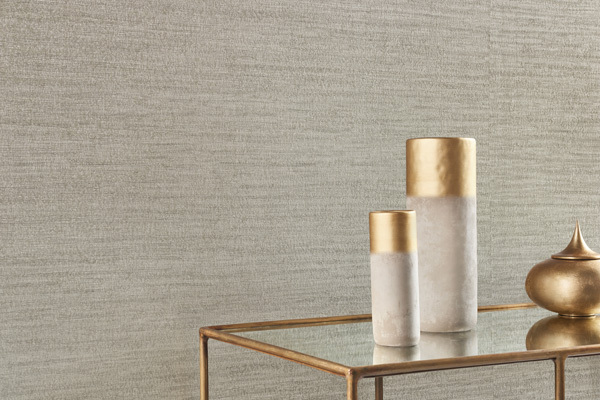 Crafted through extensive printing and emboss experimentation, the Tower brand releases a fresh category of artisan-quality, layered wallcovering called Artiste, the French term for craftsman. This technical breakthrough and innovative process reveals a hand-crafted look, with strong multi-tonal and dimensional qualities. Exceeding Type II performance standards, Artiste exemplifies beauty and durability. Tower's first Artiste pattern, Lustre Strie, launches this artisan spirit by combining layered, gilded colors with a deep vertical emboss. We've united old-world luxury with the character of today's decorative craft. A lustrous textured effect is seen across the 19 memorable colorways. Experience the grandeur of Artiste in Tower's premiere of Lustre Strie. Bermuda Grass is added to the TOWER collection. Tower's latest introduction of Bermuda Grass resembles a true grass cloth. 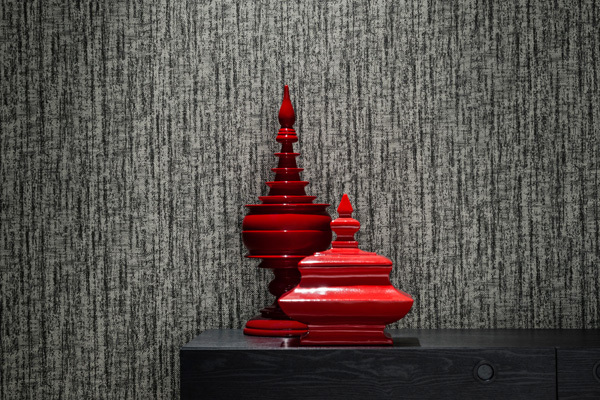 Depth and dimension are achieved through the sculptural and carved texture of this chunky weave. Metallic color is woven across the 15 natural colorways, adding a fresh coastal feel to the African grass inspiration. View swatches. 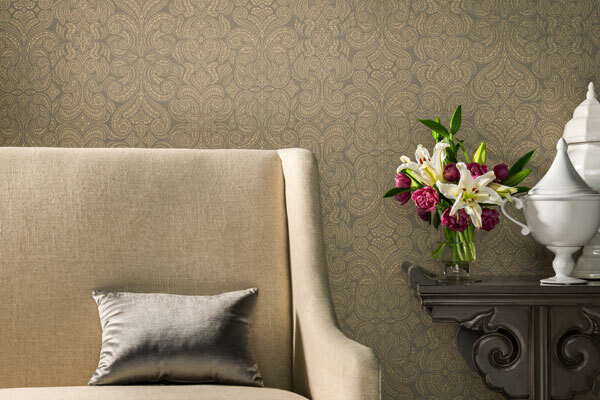 Brocade was inspired by the intricate friezes of Baroque architecture. In the large scale pattern, the essence of decorative stonework is captured in the flourish of circular elements and adorned with the tonality of cut velvet. Beautiful complex neutrals such as Champagne, Dove and Slate Blue grace the palette. View swatches. 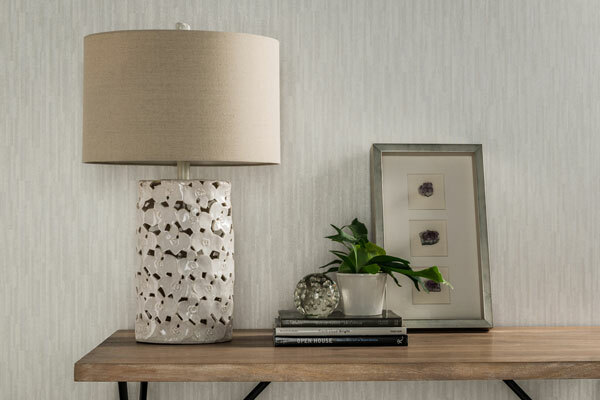 Inspired by a quiet walk in a white birch forest, Etch combines nature, vertical geometrics and layered color to reveal dimension and movement. 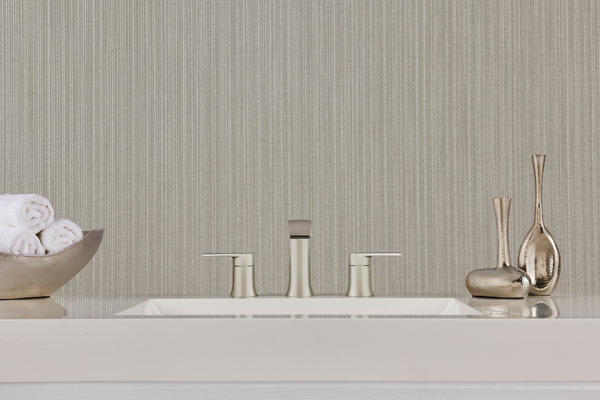 Sharp lines softened with gradient color are seen throughout the 15 hues infused with a touch of metallic. View swatches. Three new patterns, Aspirations, Batiste and Boucle are added to the TOWER collection. Tower's Aspirations is reflection of texture moving front and center in the fashion world. Inspired by mid-century modern fashion, fabrics and furniture: Aspirations has the chic polish of a Chanel suit. The nubby blend of emboss and discreetly edited palette makes a statement for today with a nod to the past. Aspirations 9 chunky weaves add dimension to any room. View swatches. 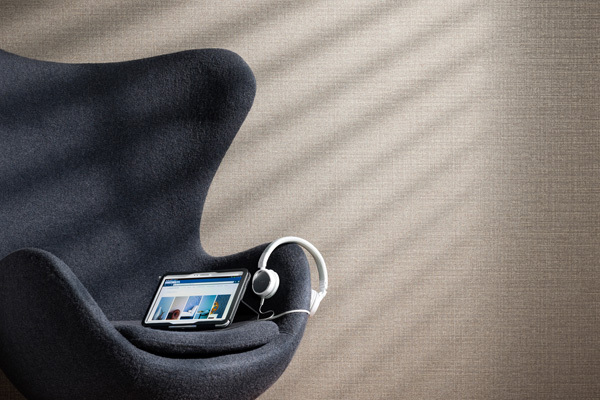 Tower's Bouclé strives to capture the multiple tiny weaves that create a complex natural bouclé fabric. 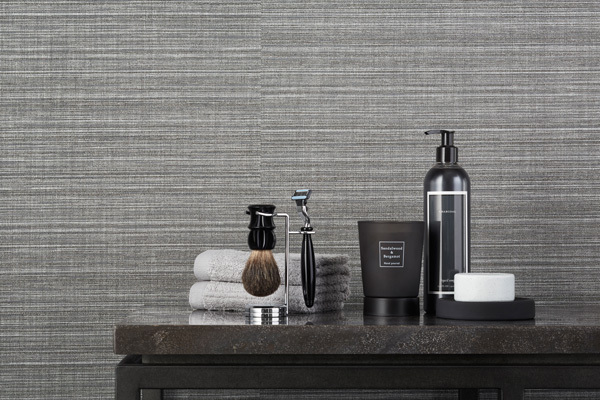 Steeped in classic appeal, Bouclé has a mid-century modern appeal of a tailored suit that strikes the right note of style and sophistication. 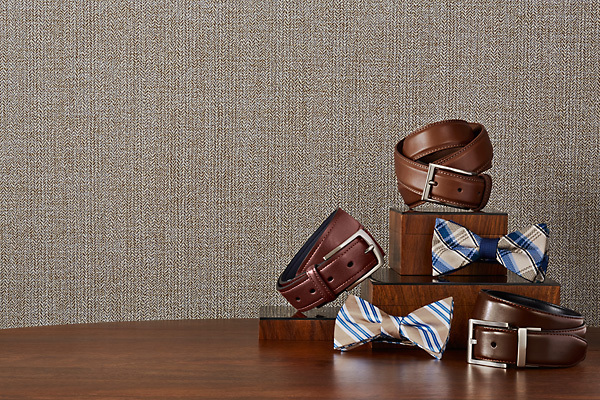 Choose from the 15 colors of rich neutrals to fun fashion hues. View swatches. 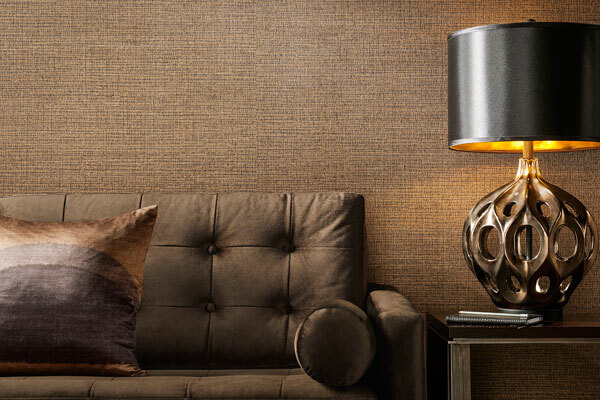 Tower's Batiste is inspired by rich, sophisticated fabrics with specialty yarns. This texture pairs a layering of textile prints with a jacquard emboss that enhances the metallic and gives a unique effect at every angle. Choose from the 19 colors for every installation. View swatches. Welcome to the new Tower website! Please visit this What's New section from time to time to learn about our new product introductions and latest developments. Thank you.